Master carver and hereditary chief 7idansuu (Edenshaw) James Hart works on the 800-year-old red cedar being transformed into Reconciliation Pole at his home in Old Massett on Haida Gwaii. Carvers work long hours in the days leading up to the ceremony. 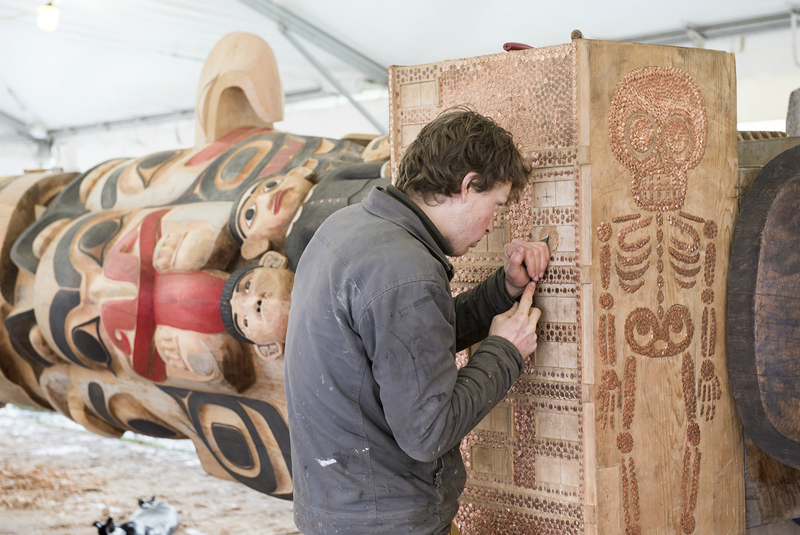 A member of the carving crew, Cameron Sutherland, helps render the residential school. At the base of the school, nails form the shape of a skeleton, which is visible from the ground. 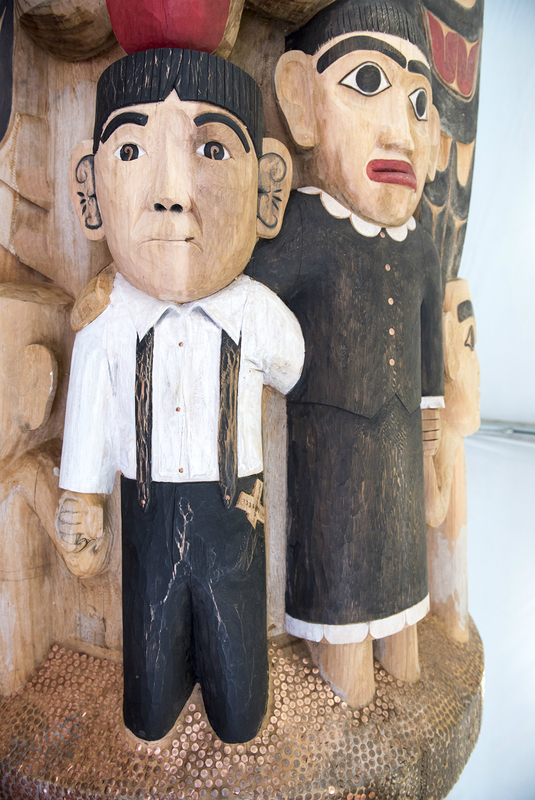 Detail from the pole celebrates the family unit following the shutdown of residential schools. 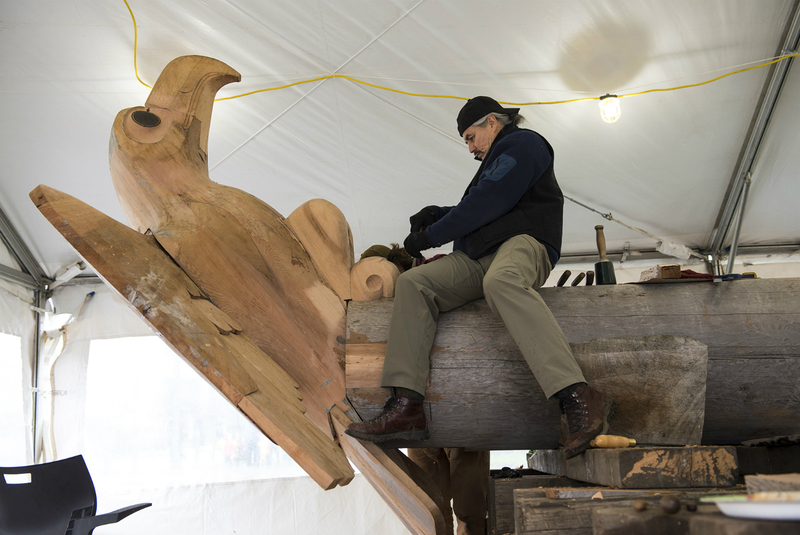 James Hart carves the eagle, which is about to take flight and is a symbol of hope for the future. Close-up detail of children holding and supporting one another; some are wearing school uniforms and numbers. Children were sometimes referred to by their numbers rather than their names. At the ceremony, James Hart participates in the carvers’ dance. 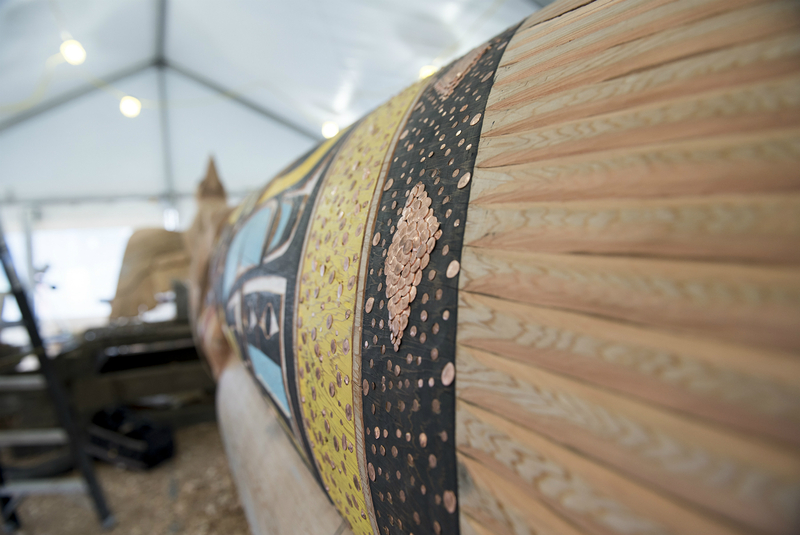 This is when all the artists, holding their tools, dance around the finished totem pole in celebration before it is raised. 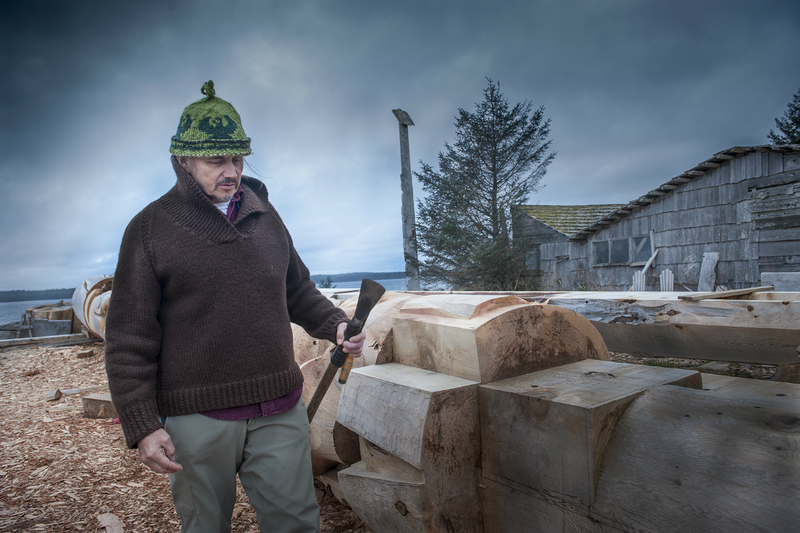 Gordon Russ of Haida Gwaii calls out the signals that facilitate the raising of the pole. 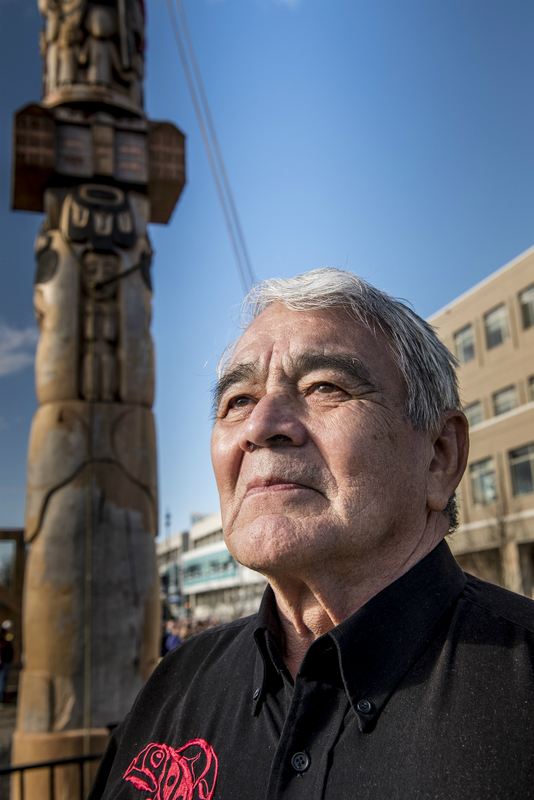 He has overseen the raising of eight totem poles in Haida Gwaii. Many people help hammer in the copper nails, which represent the children who died in the residential school system. People from Haida Gwaii take part in the drumming and singing of the ceremony. Residential school survivor Sphenia Jones visits from Haida Gwaii to speak at the pole-raising. On Graham Island, part of the archipelago of Haida Gwaii in Northern British Columbia, sits the village of Old Massett. 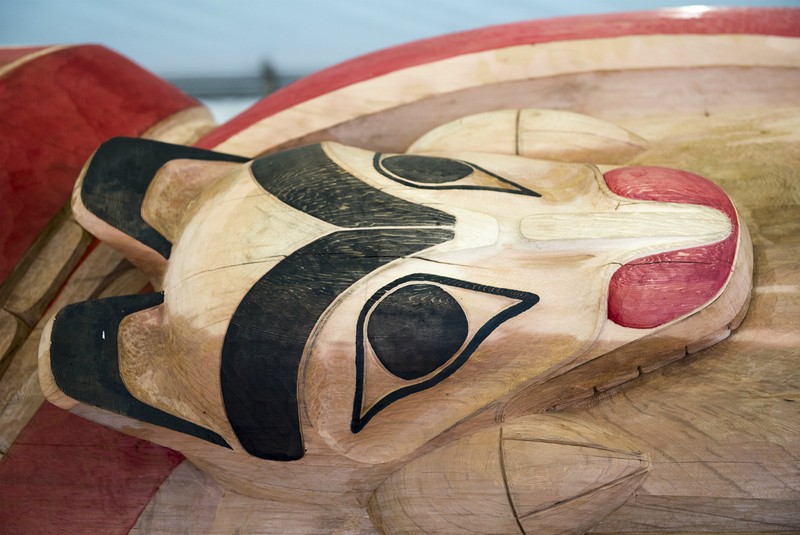 It is home not only to the Council of the Haida Nation, but also many acclaimed First Nations carvers. 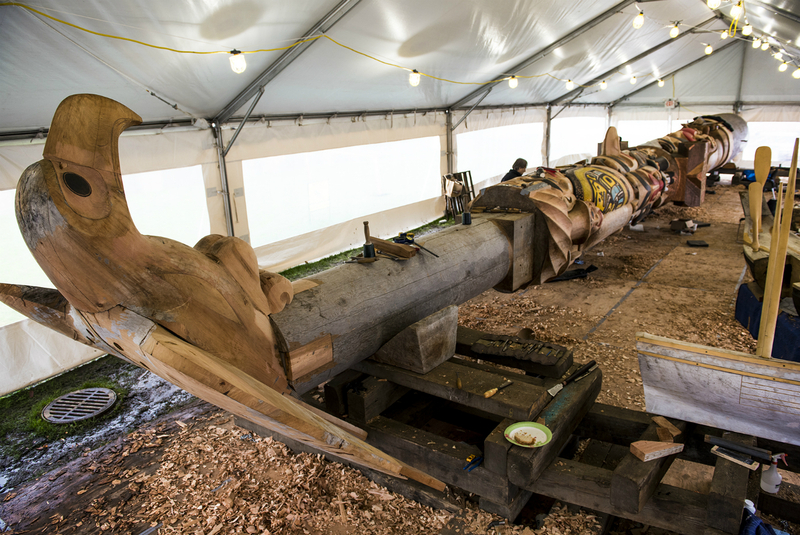 Two years ago, 7idansuu (Edenshaw) James Hart, a master carver and hereditary chief, embarked upon an odyssey that would see the creation of a 55-foot totem called Reconciliation Pole, carved out of a majestic, 800-year-old Haida Gwaii red cedar. 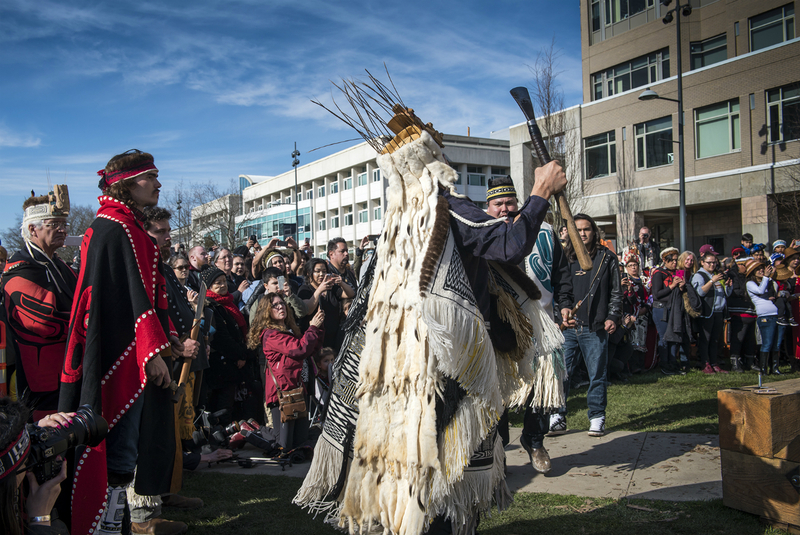 The pole was erected in a special ceremony on April 1, 2017 at the University of British Columbia (UBC) on the traditional, ancestral, and unceded territory of the Musqueam people. Erected in the traditional Haida way using ropes, the totem is located at the future site of the Indian Residential School History and Dialogue Centre. 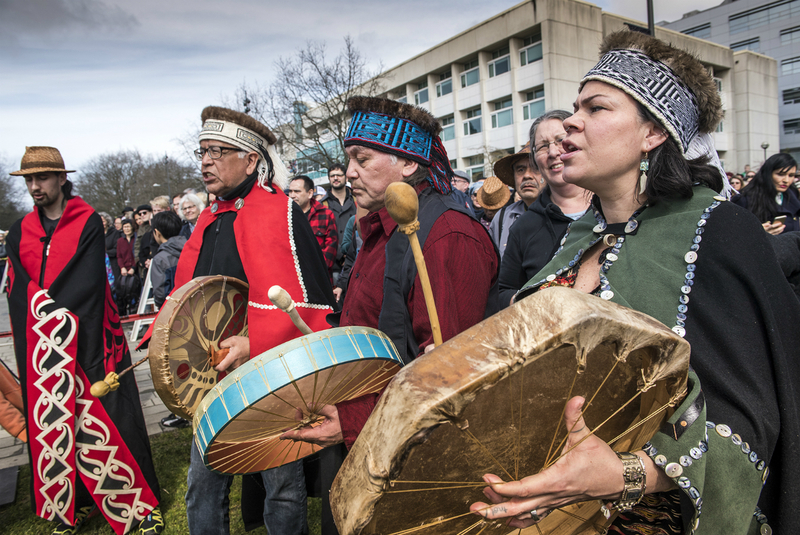 The ceremony was preceded by a traditional Musqueam welcome; speakers included residential school survivors, Musqueam and Haida chiefs, and UBC president Santa Ono. 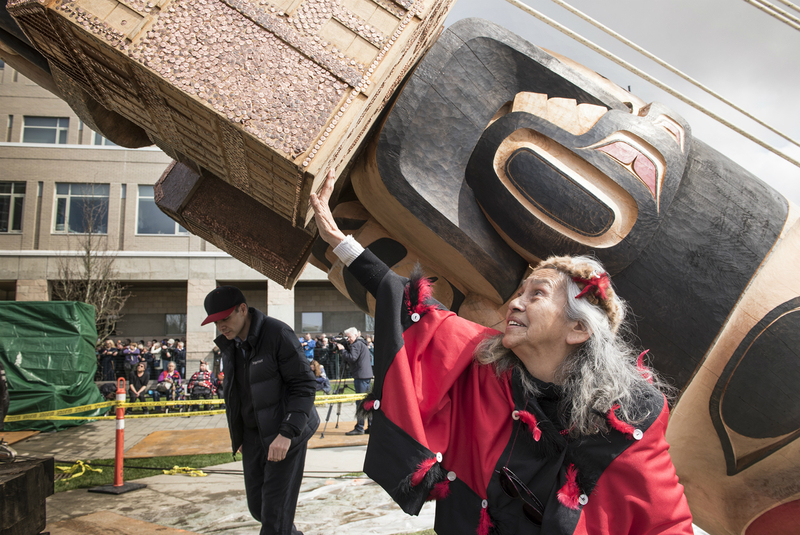 The university partnered with Vancouver arts philanthropist Michael Audain to commission Reconciliation Pole, an acknowledgment of the dark history of Canada’s residential school system. 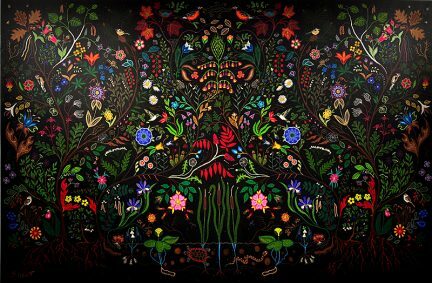 Some 150,000 Aboriginal children were forcibly removed from their parents’ care and put into government-sponsored religious schools designed to assimilate them into Euro-Canadian culture. The children endured psychological, physical, and sexual abuse, and an estimated 6,800 of them died. 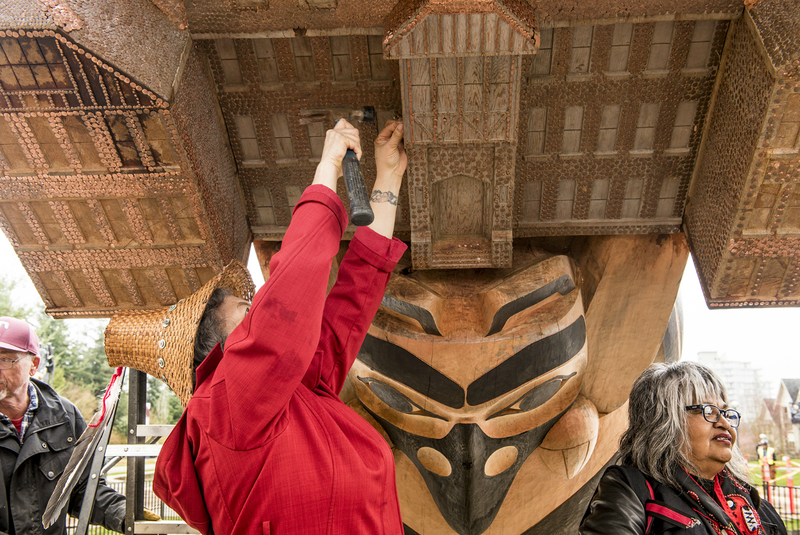 Reconciliation pole was made using exactly 6,800 copper nails, each one representing a deceased child. 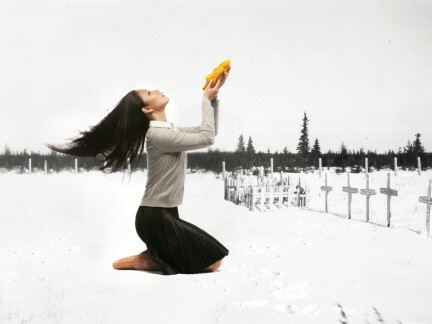 The pole honours a time before, during, and after the residential school system (the last school was closed in 1996). At the base (Haida totem-pole narratives begin at the bottom) is a mother bear and her twin cubs, representing a time before Indigenous peoples made contact with Europeans. Between the legs of Bear Mother is sGaaga (Shaman), performing a ritual to ensure the return of the salmon, which symbolize the cycle of life. Near the centre of the pole is a carved building based on the Coqualeetza Institute residential school in Sardis, B.C. 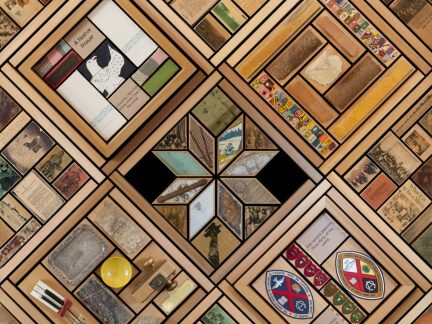 Above that is a group of children representing residential school survivors from across Canada, carved by a variety of Indigenous artists including Zacharias Kunuk, Susan Point, Shane Perley-Dutcher, Philip Grey, Robert Davidson, and Christian White. One child remains unfinished, representing all those who were sent away but never came home. 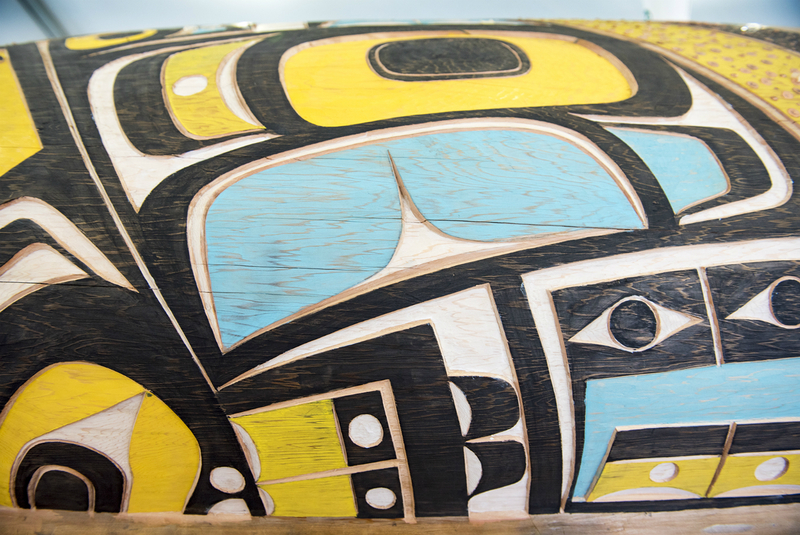 Near the top are two boats, a canoe, and a long boat moving off together, representing reconciliation; the boats hold special meaning for Hart, as they were carved by his son, Carl, who died in 2015 at the age of 26. At the pinnacle of the totem is an eagle poised to take off into the future.